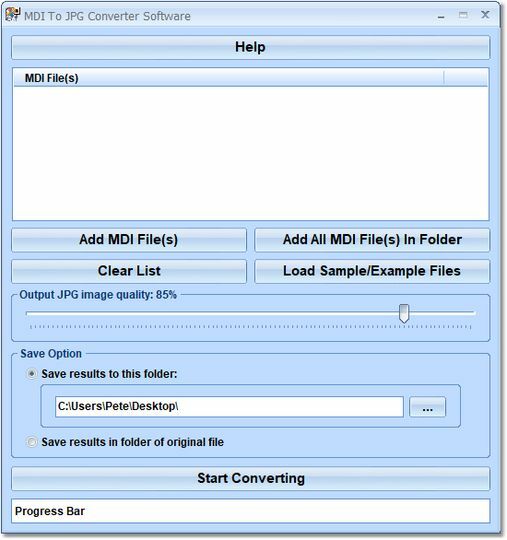 MDI To JPG Converter Software can convert one or more MDI files into JPEGs. The user can choose file/s or an entire folder to process. The user then selects an output folder before starting the conversion.